Registration is now open for staff and the public for the February 2014 Regional Library Computer Center classes. All classes are held in the Regional Library Computer Center (RLCC) of the Central (downtown) Library. PRE-REGISTRATION IS REQUIRED FOR ALL CLASSES. Visit the Computer Commons department at the Central Library and obtain a copy of the class schedule. Fill it out and return to a Computer Commons staff. Register online through the RLCC website. Please allow 2 to 4 business days for registration confirmation. Space is limited for each class, and registration does not guarantee you a space. If you register for a class, please make all efforts to attend. Repeated “no shows” could affect your registration eligibility for future classes. If you register for a class and cannot attend, call Public Computer Services at (205) 226-3680 or 226-3681 as soon as possible. Please pay close attention to the class times. No one will be admitted after 5 minutes past the time class is scheduled to start. 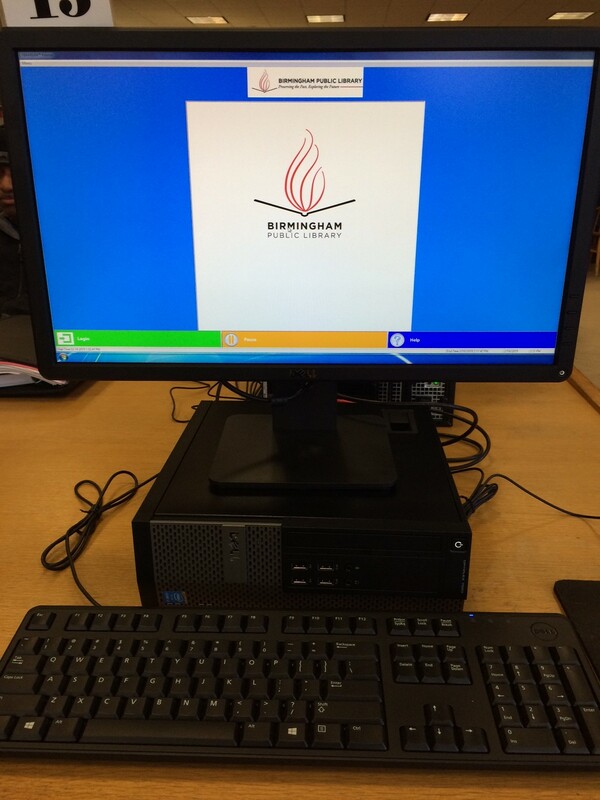 Classes are provided by the Birmingham Public Library. Registration for the Regional Library Computer Center (RLCC) August 2013 computer classes is now open to the public with added new and improved choices. In addition to offering regular applications such as those from the Apache OpenOffice.org, RLCC is also extending its training line-up to include Prezi and E-Books. 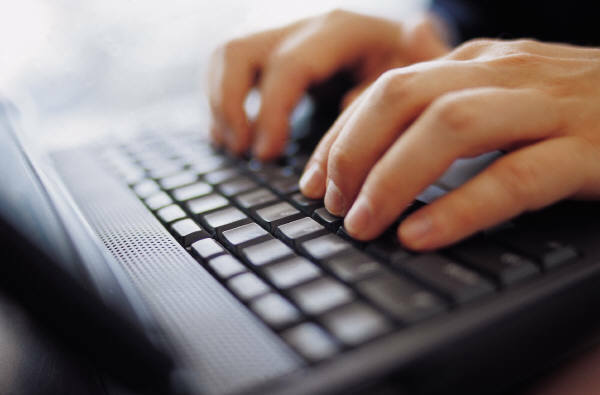 The major change in the usual classes offered is the merging of the Basic PC and Keyboarding classes. In the past, these popular basic classes were offered individually, once per month, often filling up within the first week. Combining them and providing two days will give more patrons the opportunity to attend this training course. Because many educational institutions and companies have discovered Prezi, RLCC is providing a tutorial workshop for this online alternative to slide presentations. Rather than a linear approach to presenting, Prezi deals with one canvas and uses “zoom” features for animation. It’s cloud-based, so your presentations are stored online but can be downloaded is needed. This class is an intermediate to advanced class, and previous PC, Internet, and keyboarding experience are recommended. This is NOT recommended for beginners with no previous or minimal computer experience. An E-Book is basically a digital version of a book. In this workshop, you will learn how to download E-Books from the JCLC digital library. Many readers find them more convenient and portable. If you have a tablet or an E-Reader, you are welcome to bring your personal device. This class is considered an intermediate class, and previous tablet experience is recommended. 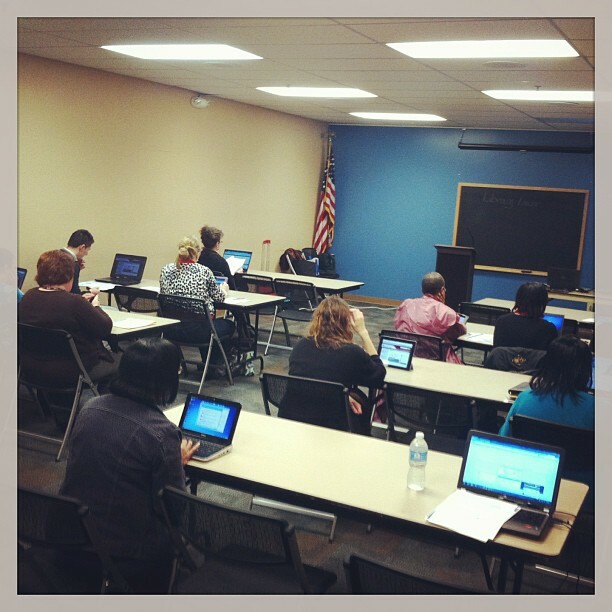 The word processing, presentation, and spreadsheets classes this month will be from the Apache OpenOffice.org suite. To register, please call (205) 226-3681 or register online. Class time is 10:30 am to 12:30 pm. No one will be admitted into the class after 15 minutes past the time class is scheduled to start, and cell phone use is prohibited during class. The Birmingham Public Library Regional Library Computer Center staff facilitated a seminar Friday, January 24, 2013, at the Public Library Division Winter Mini-Conference held at Homewood Public Library. The seminar touched on a survey of Social Media software, statistics, and the three most popular: Facebook, Twitter, and Pinterest. Participants brought their laptops and tablets to access the various apps and software available for social networking and other sites. Social Media is defined as a “conversation online.” Social media are Web-based and mobile technologies designed to turn communication into an interactive dialogue and allow the creation and exchange of user-generated content. They are tools for sharing, receiving, and discussing content with users and visitors. If you can comment, vote, take a poll, like, dislike, share, and rate, those are social media. There are currently more than 575 popular and emerging social media sites. Social media have been widely accepted and adopted in media, business, government, higher education, and libraries. Libraries are finding that they can better connect with patrons and generate publicity and support in their community through social media, often times more effectively and quickly. The Public Library Division is an extension of the Alabama Library Association which aims to “promote public library service and development” by encouraging cooperation among libraries and representing the interests of public libraries in communities and legislature. from the heat and take a class or two at the Regional Library Computer Center. With the heat bearing down on us and the kids heading back to school, what better time to come and brush up on your computer skills by enrolling in one of our many classes. You can get a glimpse of what we have to offer by clicking on the links at the top of the page. A list of classes offered by the RLCC can be found by clicking on “Classes”. Also, you can visit your local library and pick up one of our computer brochures, which lists all classes which are offered by the RLCC, Springville Road and Five Points West libraries. To register for classes at the RLCC, please call 205-226-3799 or 205-226-3798. The Homewood Public Library offers online tutorals for both Microsoft Word and Microsoft Excel. Each tutorial has three sections. I just finished taking Part 1 of the Microsoft Excel tutorial and it is an excellent tutorial for a beginner. Here is the link to the tutorials: http://www.homewood.lib.al.us/CSD/trainingLab.html#onlineTutorials.